After a series of behind-the-scenes bust-ups with Wagner, angry X Factor favourite Matt Cardle had admitted he thinks the outlandish singer may well win the show. SEE THE LATEST X FACTOR TWITPICS HERE! Just days after branding the 54-year-old Brazillian – who sails through voting every week – ‘a joke’, Matt’s revealed he thinks there’s a real chance Wagner will come out on top. The singer’s reportedly said he has a ‘terrible feeling’ that Wagner will take home the title, scuppering his chances of an X Factor win. ‘It would be fun to win, I’d like that – but I have a really terrible feeling that bloody Wagner is going to win now,’ he said, during an X Factor charity CD signing in London. It’s thought the singer was then pulled aside by bosses, who swifly put a stop to his angry tirade. This is not the first time relations between Matt and Wagner have come to a head. According to reports, the pair had to be separated during rehearsals last week, when temperatures reached boiling point after a furious row. It’s thought Matt accusing Wagner of bad mouthing fellow contestants sparked off their heated disagreement. 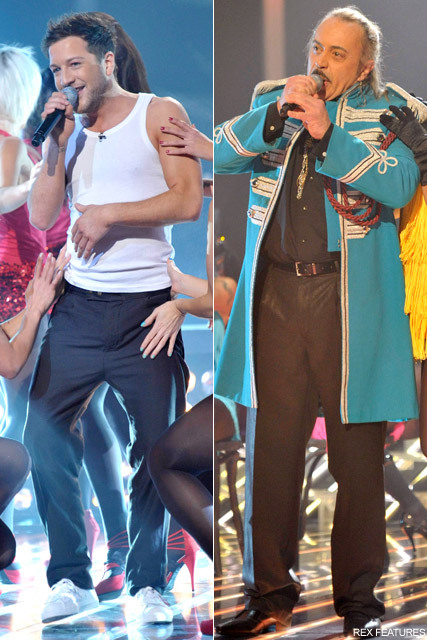 What are your thoughts on Matt and Wagner’s X Factor spat? Who would you like to see in the show? Let us know your thoughts in the comments box below. SEE ALL THE LATEST X FACTOR TWITPICS HERE!